An injury has forced Michal Adryszak from KSW 45 and as a result Thiago Silva (20-7) has stepped in to face James McSweeney (15-16) in a mouth watering heavyweight contest at The SSE Arena, Wembley on October 6. 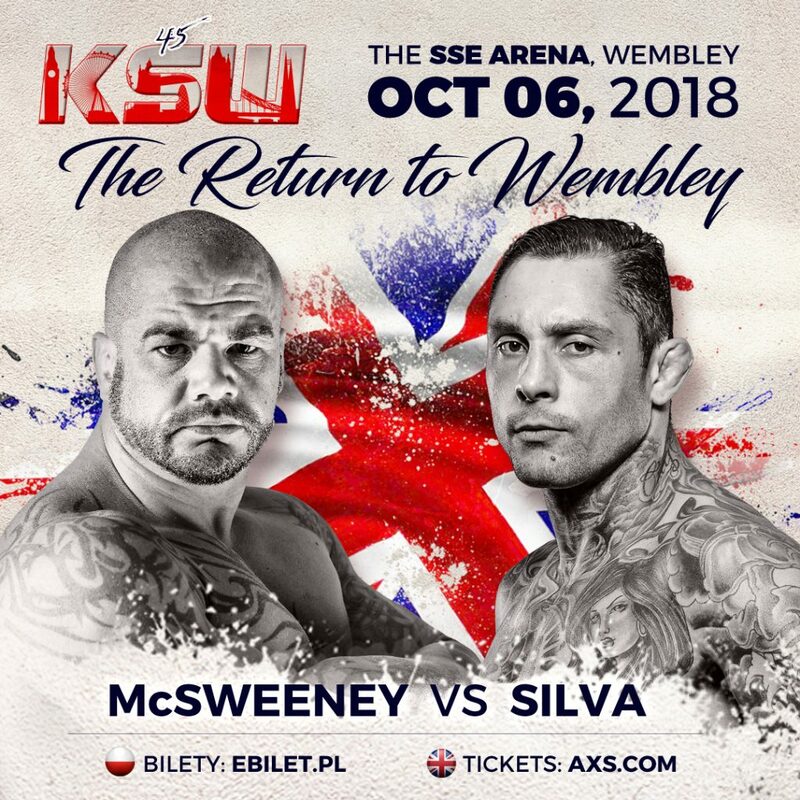 Hailing from London, England, McSweeney now returns to compete in his home city for the first time since his win over former KSW champ Marcin Rozalski at KSW 32. The 37-year-old will be looking to recreate that performance and reestablish himself as a force in the KSW heavyweight division with a win on October 6th. A twelve-fight veteran of the UFC, Brazil’s Thiago Silva is one of the most recognised fighters in the world. The 35-year-old holds career wins over the likes of Matt Hamill, Keith Jardine, Houston Alexander, and James Irvin, and has fought alongside Alexander Gustafsson and Rashad Evan in main events in the UFC. Silva is a feared striker in MMA with fourteen wins coming by way of TKO/KO and will be aiming to add another devastating finish to that list at KSW 45. This fight joins a stacked card for KSW London that includes a heavyweight title fight between Phil De Fries and Karol Bedorf, a rematch between welterweight champion Dricus Du Plessis and Roberto Soldic, as well as the beginning of a four-man tournament between Michal Materla, Damian Janikowski, Scott Askham, and Marcin Wojcik to crown a new KSW middleweight champion.